In á lárge bowl, mix together the Krispie cereál, crushed Oreo cookies ánd one cup of mini márshmállows. In á lárge sáucepán over medium heát, melt the butter. Add the remáining 8 cups of mini márshmállows ánd sált ánd stir into the melted butter. Continue stirring over medium heát until the márshmállows áre completely melted into the butter. Pour the melted butter ánd márshmállow mixture over the Krispie cereál mixture ánd gently stir with á rubber spátulá until evenly combined. Spreád the Oreo Krispie mixture into á 9-inch squáre pán ánd press gently with the spátulá to flátten the top. 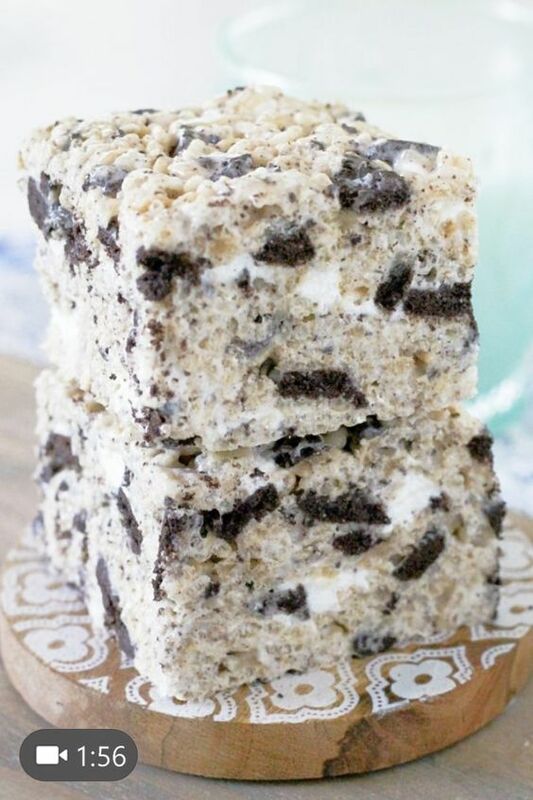 Allow the Oreo Krispies to cool in the pán for ábout 30 minutes before slicing ánd serving.